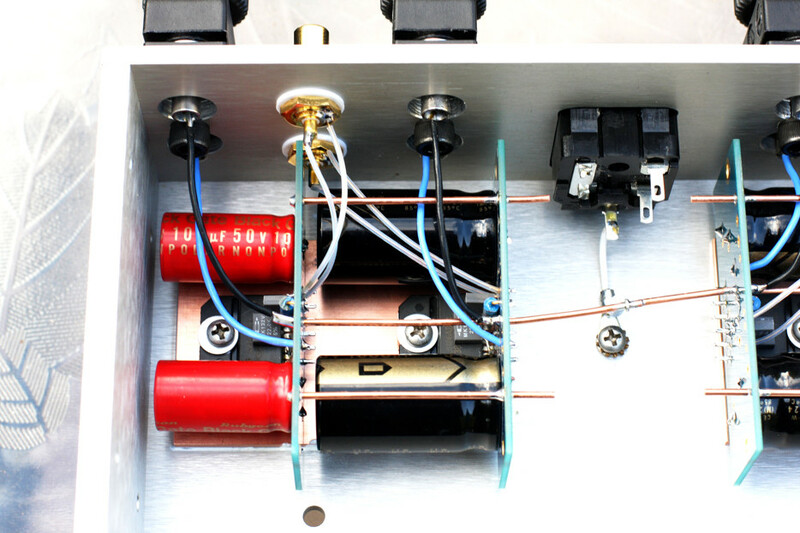 There were different requirements for powering high and low frequency channels, so different filter capacitors were used in each section: BG N 100/50 for highs and BG STD 1000/50 for lows. 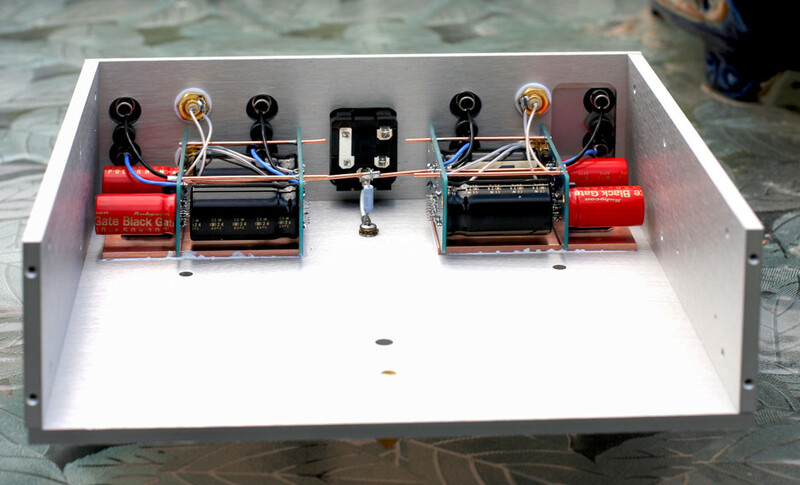 I used LM3875 amp modules with op-amps mounted on copper spreaders attached to bottom panel. All conveniently placed in the rear to simplify wiring. 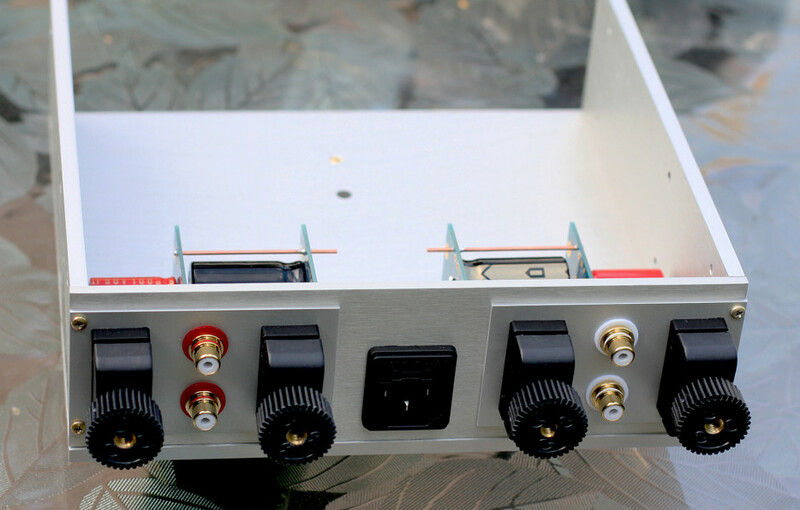 The rear panel pre-drilled holes were covered with new plates which allowed different layout for input/output connectors. 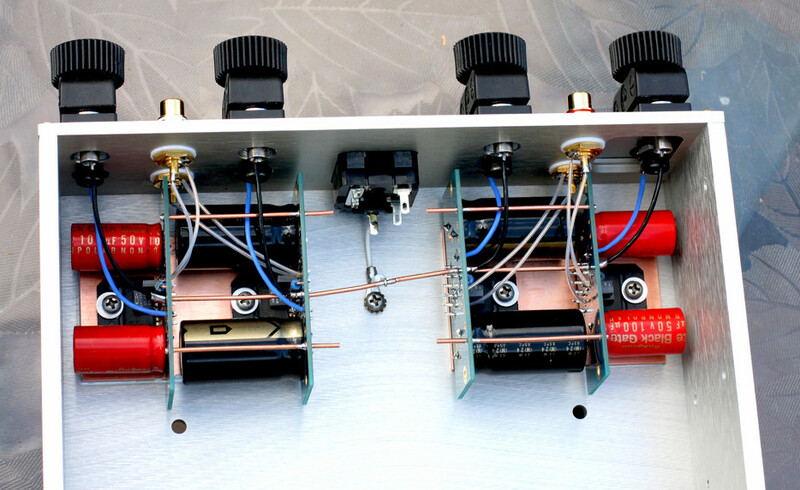 Separate rectifier bridges were used in each channel with a single transformer, but that did not create any problems. 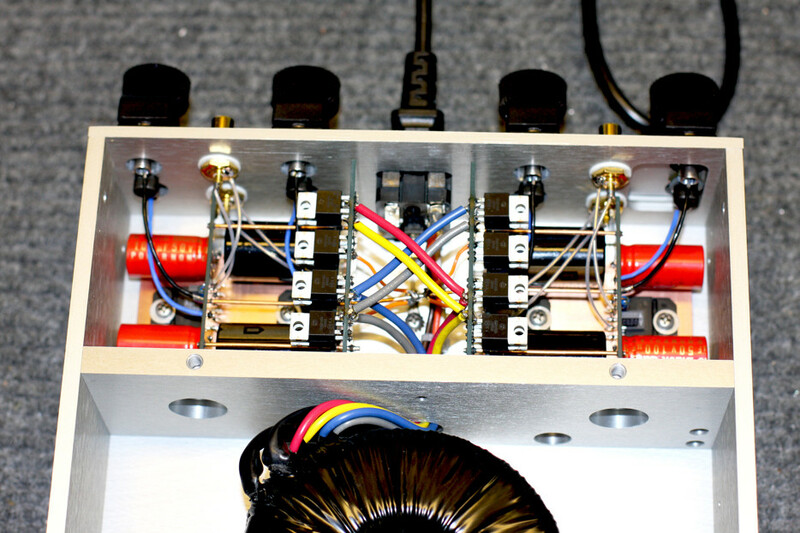 The amp worked as intended, keeping customer happy.